Syd was a likeable man he always used to ask me what I'd been up to when came home on leave from the army. I never had a pint with him though. I think he passed away when I was away on duty. Thanks for all your replies guys. 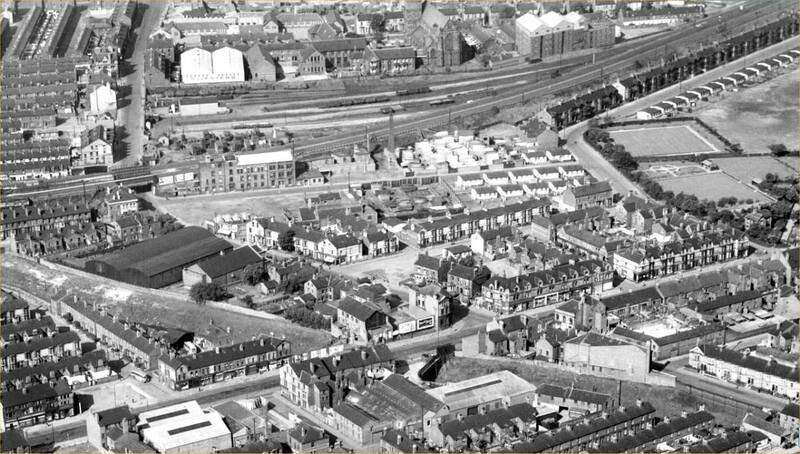 St Jimmy’s Church the infants and junior schools, the buildings with the black roofs were a wood yard next to them is Palace picture house. Come on all you Bootle boys and girls there are loads more to name. 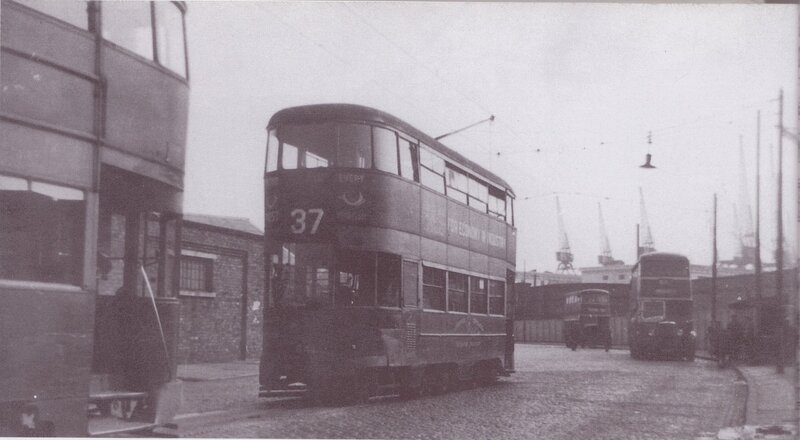 Liverpool Corporation Tramways Office to the left of Seaforth & Litherland Railway Station to the right. 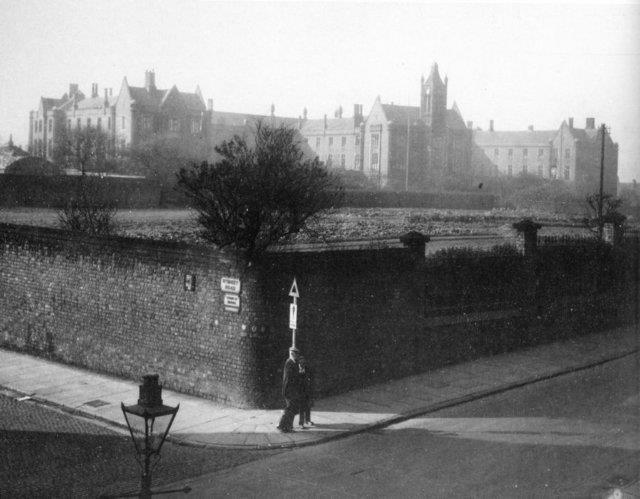 The 'Cinder Path' ran alongside the railway hoardings to Violet Road & Aikenside Street. The original 'Cinder Path' was laid with cinders left over from the building of Litherland Army Camp WWI. The cinders in the camp were used for the parade ground and walkways. The headmaster of St Philip's school offered the services of his boys and himself to the council to help spread the cinders to do their bit for the war effort. fatboyjoe90 wrote: Thanks for all your replies guys. 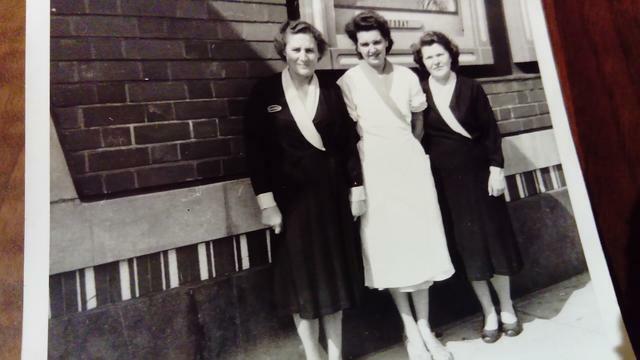 My mum, centre outside the Gaumont, Stanley Road. 1958, the film was The Littlest Hobo. Lovely photos, Keith, you’ve done well to keep hold of them so long!! Littlest Hobo..my son would shed a tear over every episode aww! Prefabs, Hornby Road backed onto park..
Gents toilet, junction of Marsh Lane and Cyprus Road. Factory, Chestnut Grove, not sure what they made..
Parrs corner, (builders yard) junction of Marsh Lane/Stanley Road. 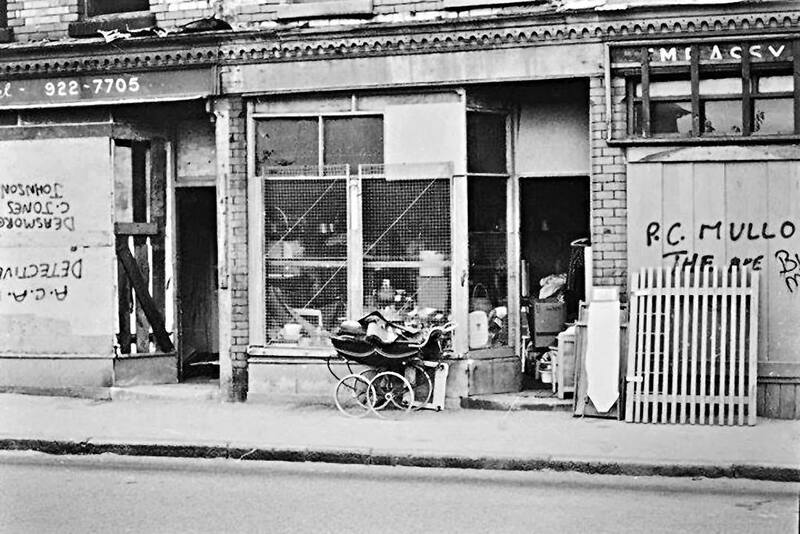 Liggetts grocery shop, corner of Ash Street/Stanley Road. United friendly insurance, Ash Street. Chinese restaurant (Ying Wah) situated on Stanley Road, close to Marsh Lane. Boxing club, Maple Leaf, Marsh Lane, next door to Stanley Social. Kiosk, corner of Marsh Lane/Stanley Road. The Alexandra Pub (Toolans) top of Audley Street/Marsh Lane. Malta Road, running from Marsh Lane to Hornby Road. 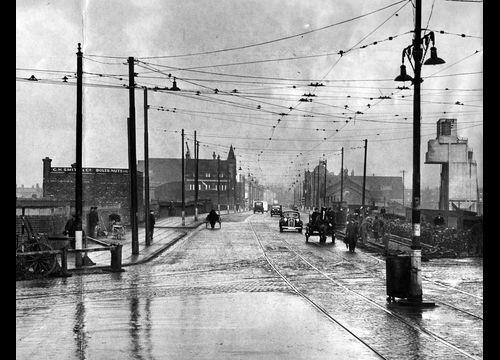 Delaware Road, running from Bullens Terrace (now Washington Parade) to Stanley Road. The George’s Tavern, Marsh Lane/Bullens Terrace. Coal yard, Marsh Lane, next to railway bridge.. Thanks Shelagh. I have literally hundreds of old black and white photos that my mum kept. 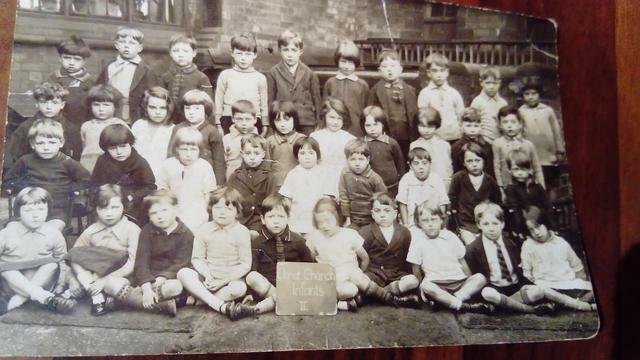 Although it is great having the old family photos it is a shame that there are very few showing Bootle locations. 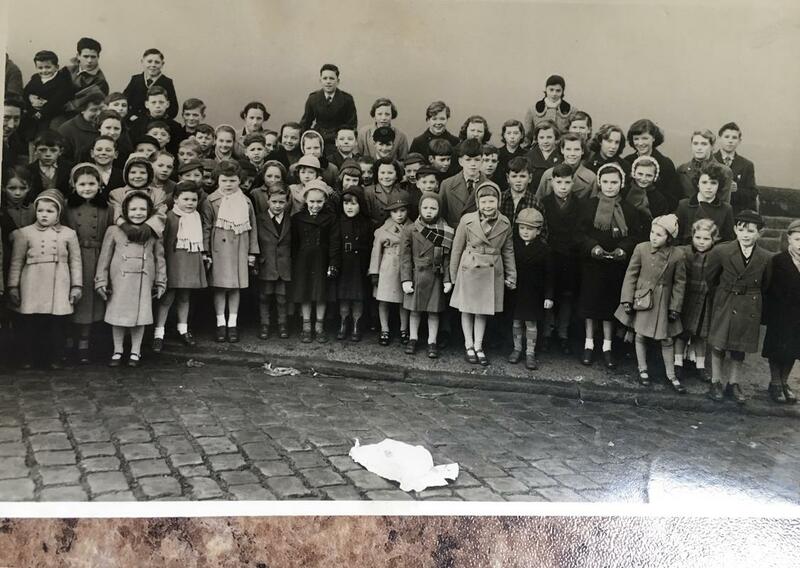 Keith, those photos of your Mum at school and at work are brilliant, they are a treasure. 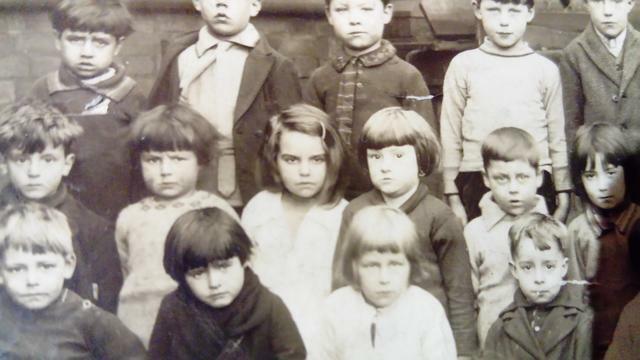 I don’t have any of my family before the 2nd World War they were all destroyed as my parents were bombed out twice during the last war like many other families. Shelagh, there isn’t much wrong with your memory, you have named most of the buildings shops pubs and clubs that are on the photo well done I knew a couple of them but not as many as you. 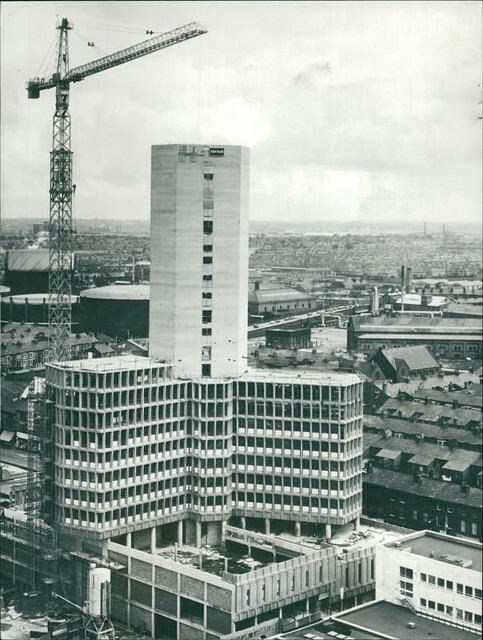 The RSPA building left-hand side just before Stanley Road, the Sally Army building turning right onto Stanley Road 2nd building on the right. The Old Roan, showing Ormskirk over the canal looking down towards Altway 1956. 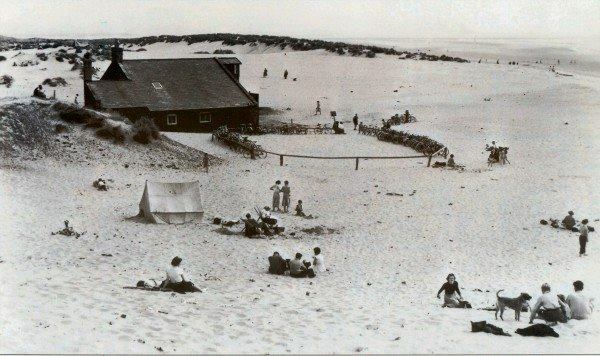 Old Lifeboat Station Formby Beach no date. 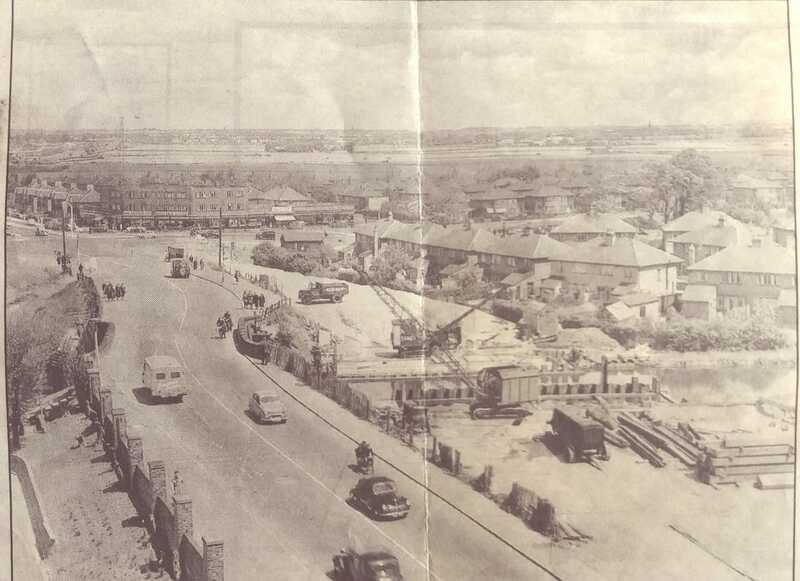 Stanley Road Bridge completion 31/12/1946. 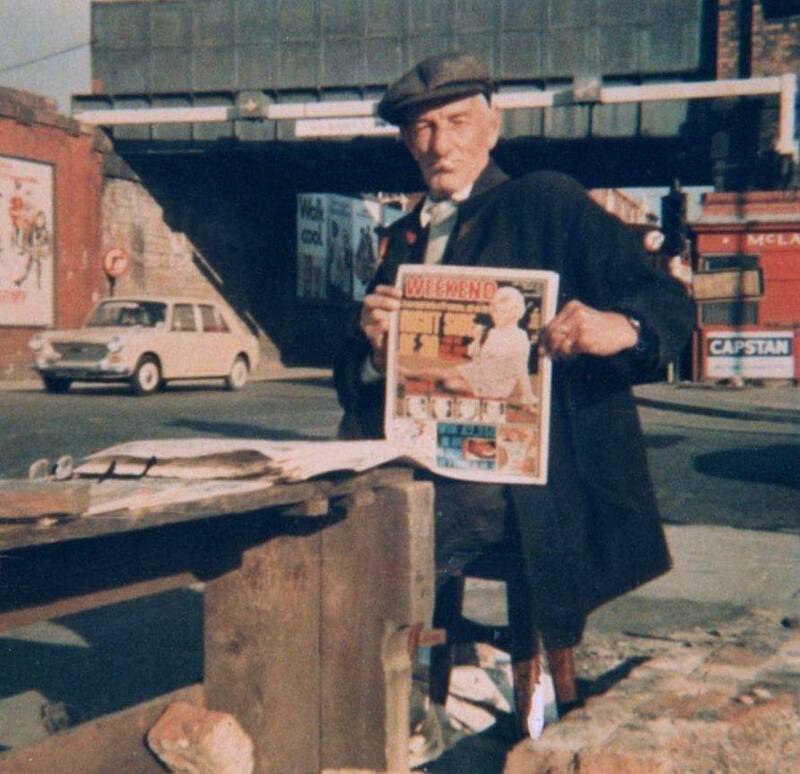 The Echo news seller Seaforth Sands. 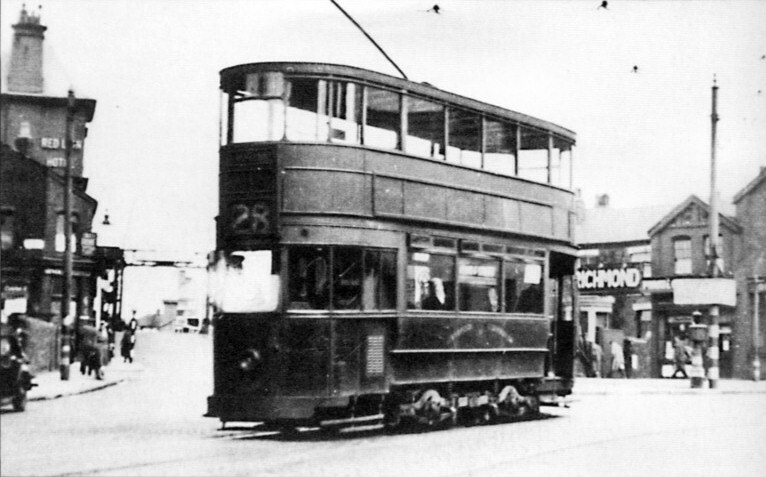 The 28 Tram turning from Linacre Road into Bridge Road. Great photo of the construction of theTriad Bob. Chestnut House Peter Mahon Way. 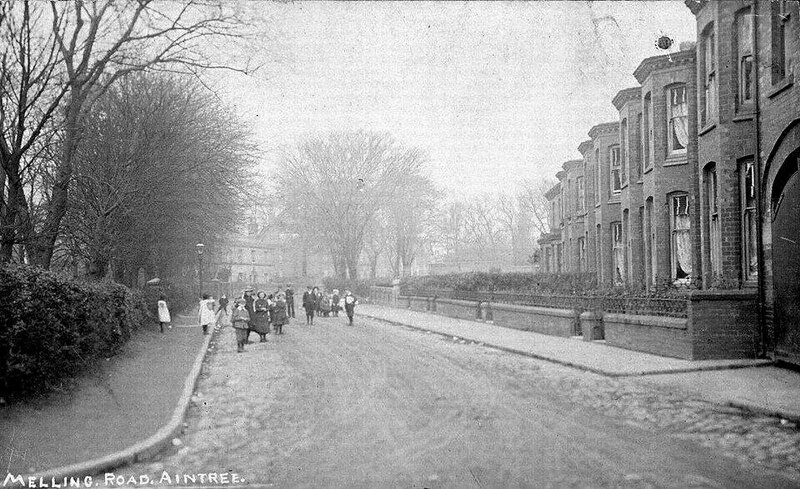 Melling Road, Aintree, no date. 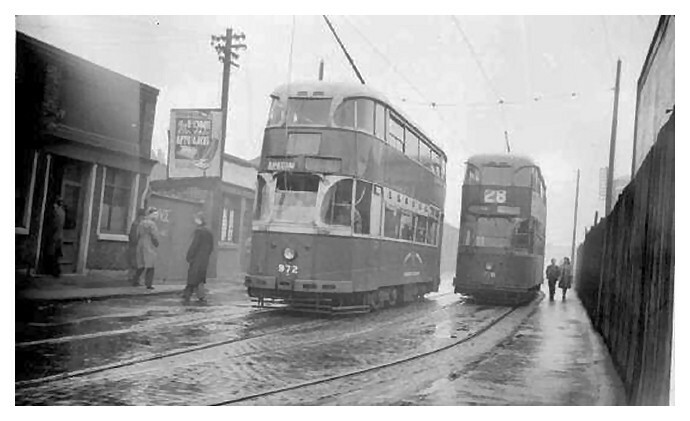 Old Tram and bus terminus Seaforth no date. 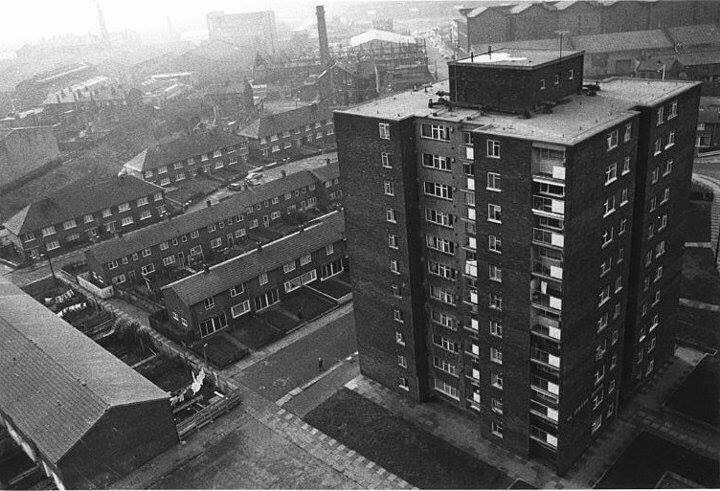 That picture of Peel Road makes me very sad. Costigan's - hand sliced bacon and broken biscuits, Ross's fruit shop, the library, Connor's paper shop with its 'Christmas Club', Jennings' grocers, Sayer's at the corner of Bibby's Lane, the Co-Op, the pet shop at the corner of Salisbury Road, Joe's the fish shop, butchers, chandlers, Fran's wool shop, the 'Chinkies' (I know, politically incorrect but that's what we called it) chip shop, bomb sites, St Leonard's church with John Mockford as vicar, Baisley, Anderson, Banner and Bunting as curates and Tommy Cooper as organist, the laundry in the disused chapel...all gone but not quite forgotten. A good place to grow up in the '50s. Thanks for your comments Ian, it's the same all over the country the only thing that's not forgotten is our memories. 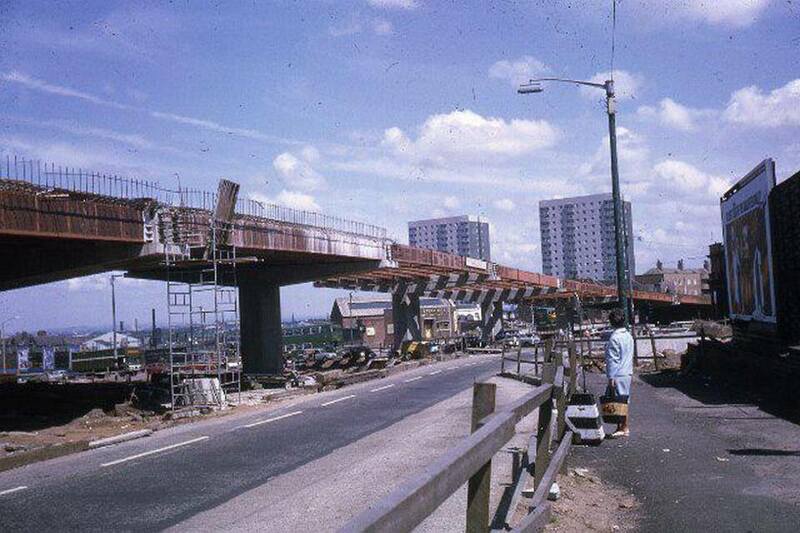 Breeze Hill the Flyover under construction. 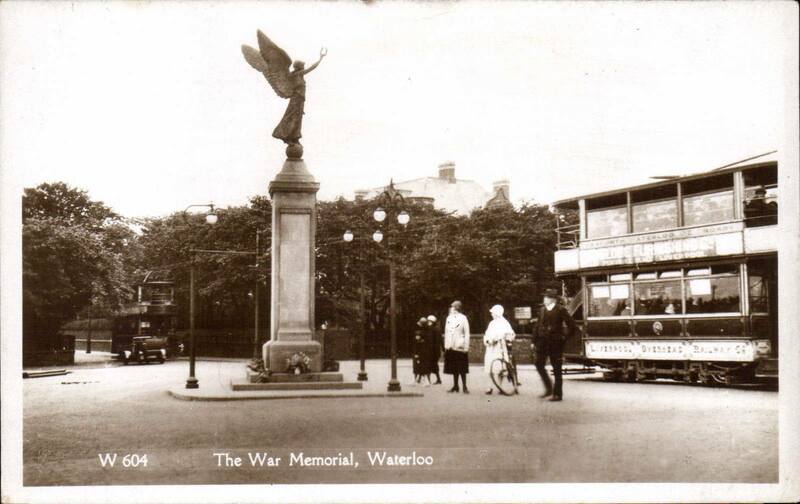 The War Memorial, Waterloo. No date. 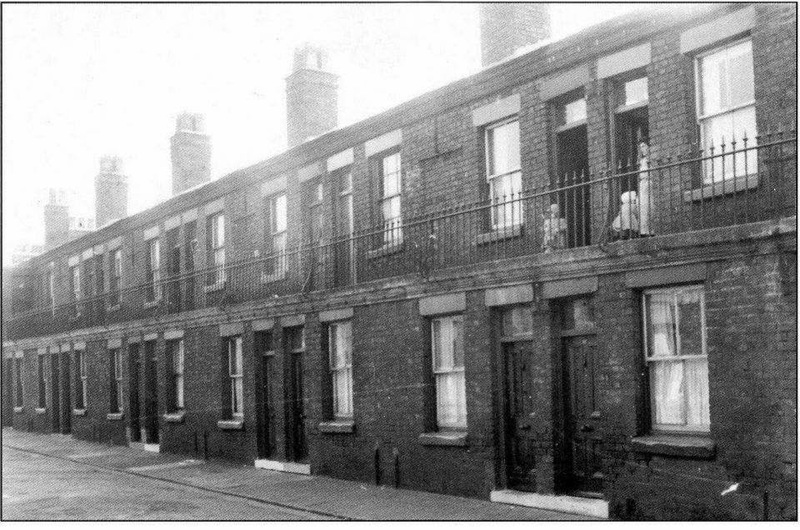 Braemar Street off Hawthorne Road towards Miranda Road 1950s.